So I went to Ulta today to get my brows done and did a little stress shopping. There are exciting, scary, amazing, terrible (not really) things happening that have my stress levels through the roof. Last weekend was my best friends wedding and it was so fun and beautiful but also stressful and time consuming so I’m starting to decompress. Today I snagged this bh cosmetics baby for $16 which is an incredible deal for a palette these days. Especially when a crappy Maybeline palette is $14 (looking at you, blushed nudes). 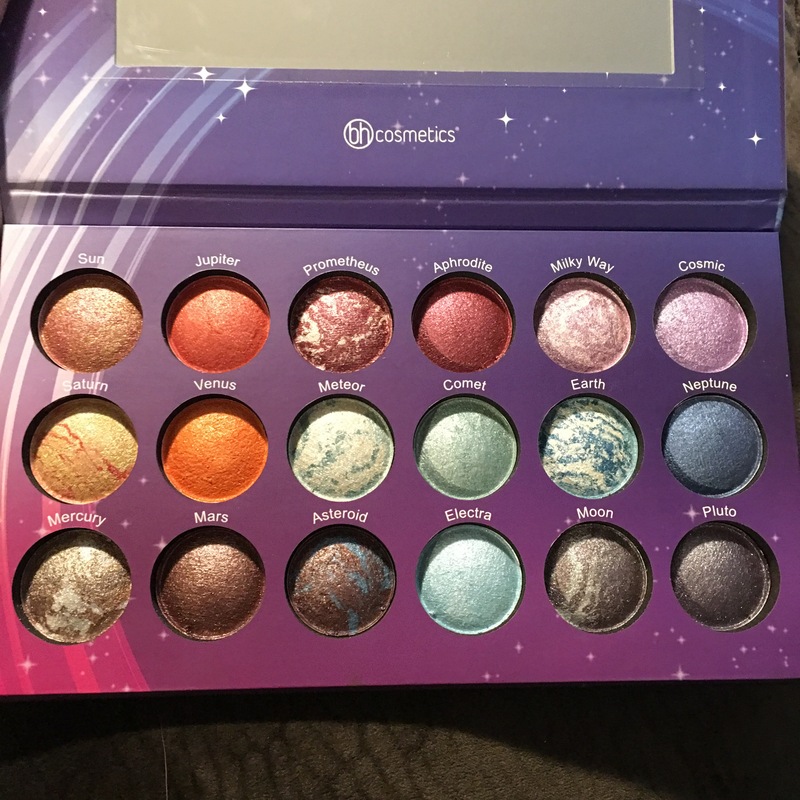 This BH palette has 18 shades which makes these colors less than $1 each! You can get a stunning variety of looks too! These shadows are baked so they work best with a mixing medium of your choice (I chose to use fix plus). Though they swatch fine dry, I don’t see them applying well without liquid. That being said, the look I achieved was quite vibrant and stunning! I used Earth, Neptune, Milky Way and Aphrodite. I also used Saturn as my face highlight. There’s some pretty shades in both the warm and cool toned families. 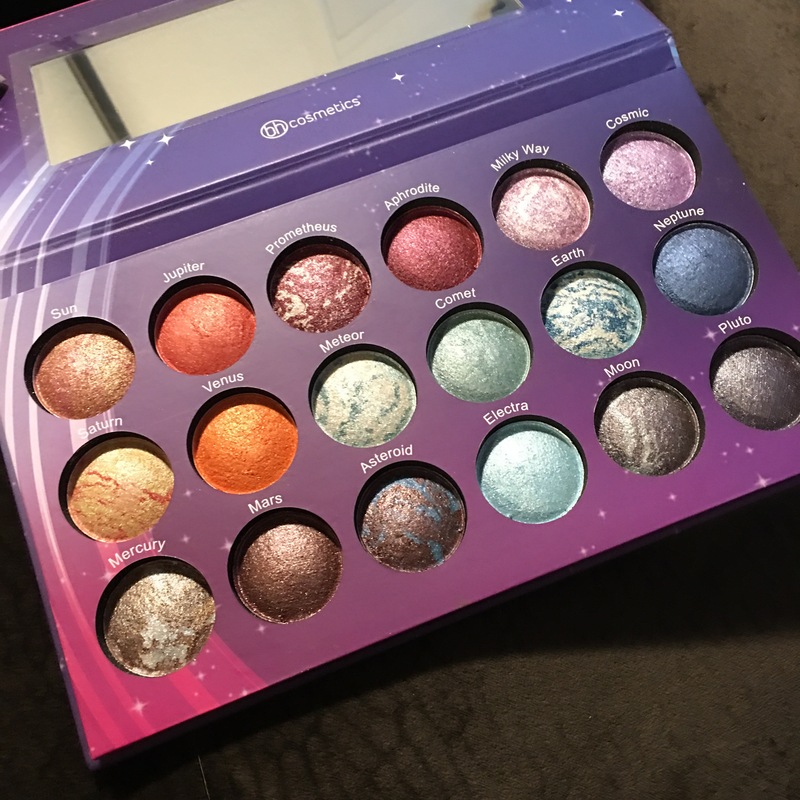 I will say there are two blues and two purples that are so similar I’m sure they’ll be indistinguishable on the eye but that still leaves 16 unique shades. 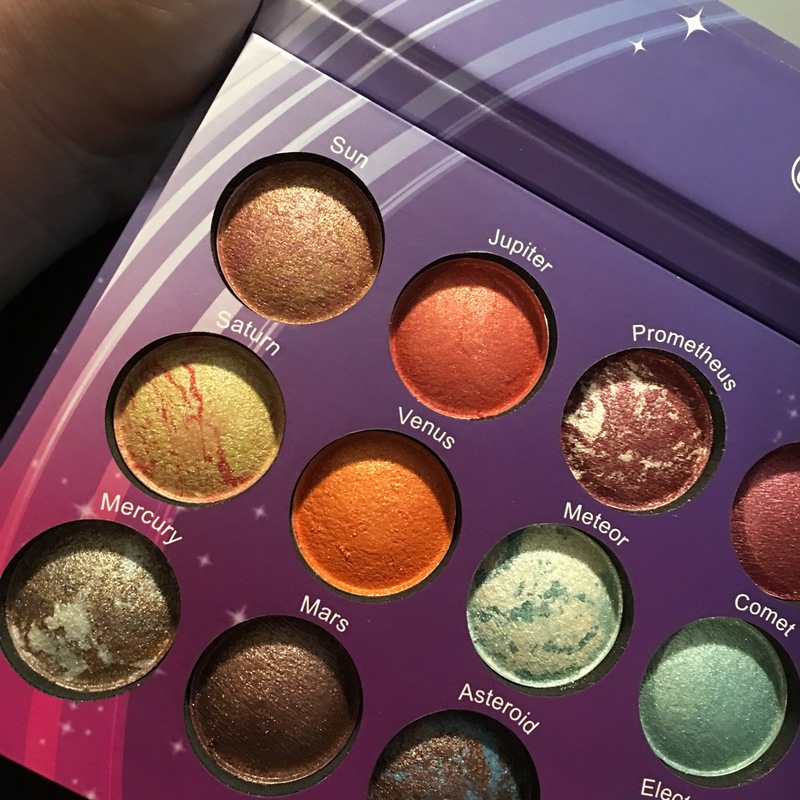 However, this palette is all shimmers so if you are one of those people who refuses to use a shimmer in the crease because of ~rules~ (I get you if you have hooded eyes or small lid space) then this isn’t for you or you’ll need a companion palette of matte transition colors. 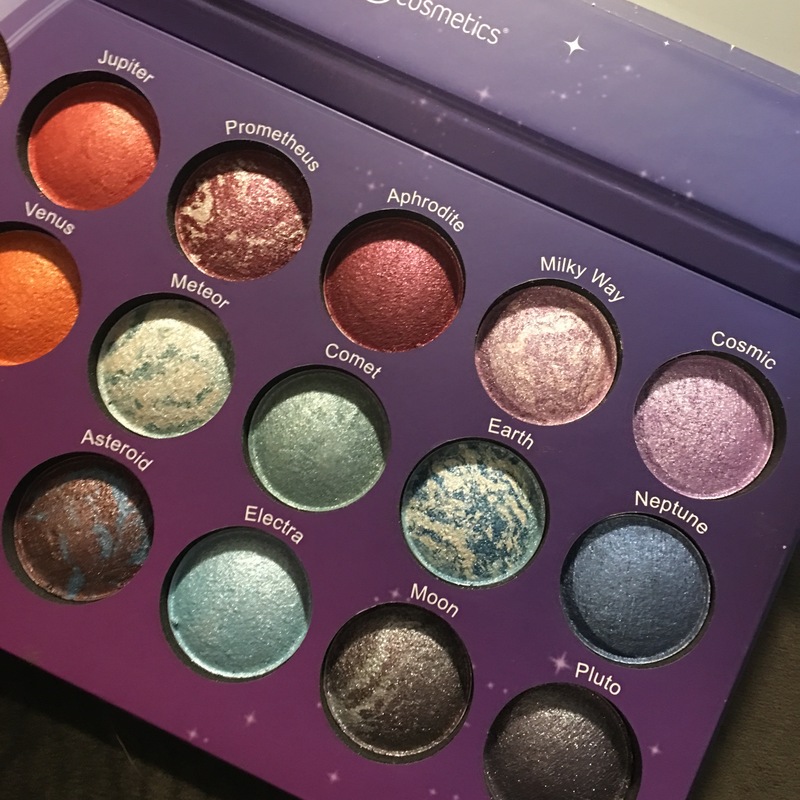 I find this palette so aesthetically pleasing and totally dig the galaxy/space vibe and the marbelized shadows. I feel that this was a good buy as I had no issues applying or blending these shades and found them to be vibrant on the lid. I’m looking forward to creating more looks with this guy! April 2018 Boxycharm (and March 2018 Boxycharm reviews).